The CleanLight safety suit is mainly for people who are using the stronger UV lamps that CleanLight offers. For example, while working with the CleanLight handtrolley, it uses strong 160 watt UV lamps. The CleanLight safety suit is mainly for people using the stronger UV lamps that CleanLight offers. For example, while working with the CleanLight handtrolley, this unit uses strong 160 watt UV lamps. 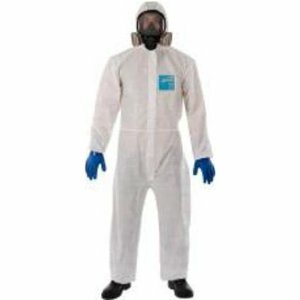 Along with this safety suit should also be used the CleanLight UV protective goggles or mask while using the CleanLight UV lamps. UV light is an electromagnetic radiation which is just outside of the part of the spectrum which is visible to the human eye and it is harmful to the human eye. CleanLight uses a very low dose UVC which is just sufficient to kill fungi, viruses and bacteria on plants without damaging it. 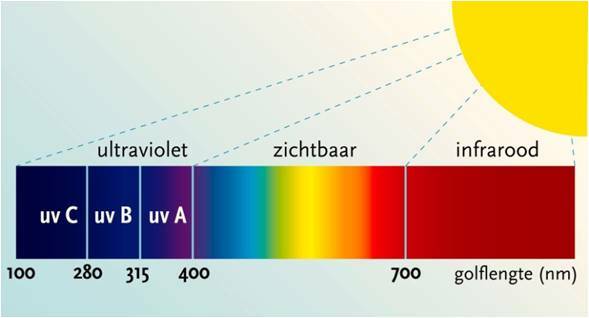 Due to the different effects of UV light on people and the environment, a distinction is made between UVA, UVB and UVC. UV B radiation is most harmful to the skin and can even cause skin cancer, UVA has the same effects as UVB but much lesser extent. UVC light is the light that CleanLight uses, ultraviolet C light does not penetrate into the skin and does not cause skin cancer, prolonged exposure creates a mild skin irritation. By using the safety suit and gloves it is possible to prevent this irritation.